Rugby Punt Kicks Kicking â¢ The aim of the drill is to develop kickers through the gate and keeping square onto the kick. Rugby Bomb Kick Kicking The aim of the drill is to develop the Bomb kick. Rugby Spiral Kick Kicking The aim of the drill is to develop the spiral kick. The aim of the drill improve accuracy and strike. The aim of the drill is to develop kickers feetwork into kick. The aim of the drill is to develop players approach and angle. 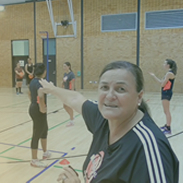 • The aim of the drill is to develop players follow through after the strike. Players looking to get the non kicking foot close to tee. Ball to be held with hands on either side. Point of the ball facing in the direction of the kick. The aim of the drill improve kick offs and accuracy. Player in the middle to support both sides. The aim of the drill is to develop kickers side on round the corner kick. The aim of the drill is to develop kickers hand to foot drop. The aim of the drill is to perfect the hand to foot process. Top 5 | most insane rugby kicks!! Rugby's greatest chip kick tries! A compilation showcasing some of rugby's greatest tries from a chip kick! Tweet me video requests - https://twitter.com/ADF0110 Any enquiries? Rugby's greatest kicks - forwards edition! 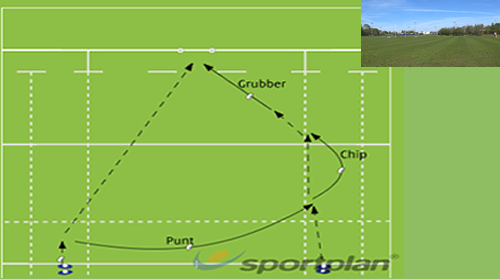 Rugby skills | the ground-grubber kick. 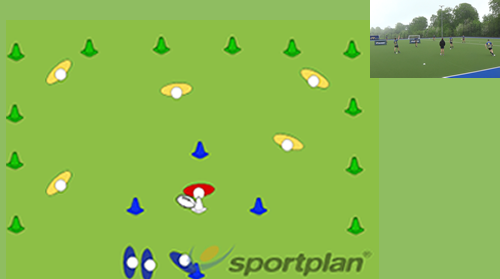 Develop some tactical awareness and get your players recognising the value of slowing down the game with a jackal. Forwards and Backs work to get into optimal space for kick clear to compete.